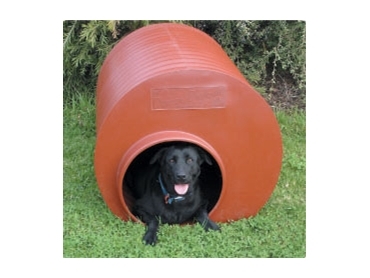 The Dinkum Doghouse from Polymaster is an Australian made dog kenell which is suitable for working dogs on the farm, as well as their cousins in the cities and suburbs. These dog kennels are suitable for most sizes of dogs. In fact, one size fits all. They ensure that man’s best friend stays warm in winter, cool in summer, and dry throughout the year.